Praise and Worship is undoubtedly one of the strongest and most popular genres in all of christian music. Whether it’s Matt Redman, Chris Tomlin or Hillsong United, the albums sell very well and the concerts almost always sell out. Joining those powerhouse artists in the Worship world has been Passion, which has been an annual installment of praise and worship classics that almost always hits no. 1 on the charts. Passion is a conference that takes place every year to give the youth of the world a platform to worship and get on fire for Christ. Formed by Louie Giglio, Passion has been a dominant force for the church and has proven more than successful. Year by year, a new collection of Passion music is released, featuring some of the biggest names in Contemporary Christian Music and acts as a tool to equip youth groups across America with new worship songs and ways to praise the Lord. This year’s installment: Salvation’s Tide Is Rising is no different from previous years and shows the Passion movement only getting bigger and stronger. 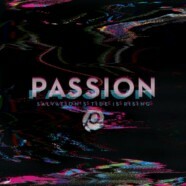 Featuring Kristian Stanfill, Matt Redman, David Crowder, Chris Tomlin, Brett Younker, Melodie Malone, Christy Nockels and Jimi Cravity, this year’s Passion album is one of the most impressive yet. With each song fueled with pure emotion, fire and fury, this is a collection of music youth groups can hold close, get to know and use to get their young people ready to go out into the world. Passion never seems to disappoint and songs like “Remember,” which features Younker or “I Turn to Christ,” featuring Redman or “God and God Alone,” featuring Tomlin, show that Passion is far from losing steam. In fact, they’re only getting started. Only being released digitally so far and with a physical release following very soon, Salvation’s Tide Is Rising has already hit no. 1 and that alone is a true testament to how powerful the Passion movement is becoming.